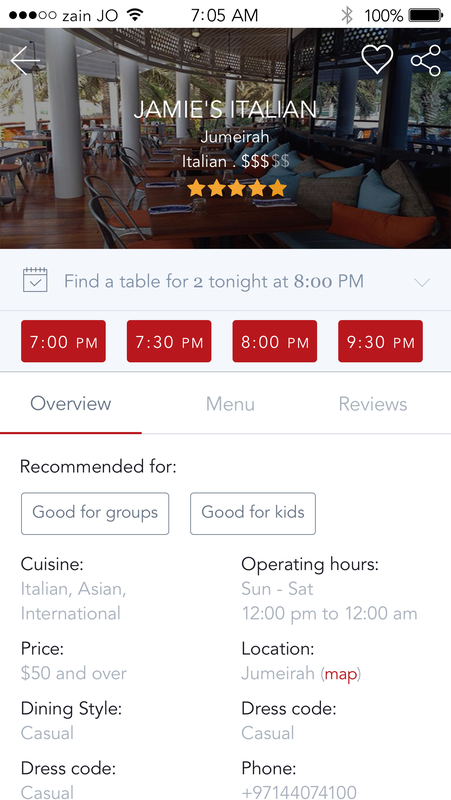 Reserveout recently acquired Abu Dhabi-based startup Tawilati, one of the first online booking and restaurant management systems in the UAE. Launched in 2011, Tawilati saw early success onboarding hospitality outlets, but didn't gain a large standalone market share. In came Reserveout with its resources, many more outlets, proprietary technology, and a dedicated team, and Shadid says that the acquisition "simply made sense. We were competing in the same markets in the UAE, and our client base at the time was different. They were able to sign up some good restaurants in five star hotels early on, while we were focusing on high-end standalone restaurants. It was clear that bringing everyone onto one platform is a greater benefit to both restaurants and diners, producing a larger network. More importantly, Tawilati had a great founding team that were well connected in the industry and would be great partners to have." The founder says that the acquisition, while it sounds seamless, was logistically challenging- to begin with, they needed to find a way to migrate the hospitality outlets from one platform to another without interrupting business operations, and they also had to convince the outlets signed with Tawilati that it was in their best interest to join Reserveout's platform by demonstrating added value. As for the actual deal, Shadid says that the necessary legal and financial due diligence, while "tedious," helped to formulate a strong partnership in less than a year's time. "As we continue to grow in the region, it's very important for us to have a strong network of restaurants and an active online user base and acquiring Tawilati certainly helped with both." The past 12 months has been busy for Shadid; during his negotiations to acquire Tawilati, the 33-year-old entrepreneur was also orchestrating Reserveout's expansion into Lebanon. "It's not an easy place to operate an online business as Internet connectivity is far from the best, but to be fair, it's been improving. We've had to build multiple mechanisms within our technology to accommodate these intermittent connectivity issues and ensure that restaurant operations are always working, regardless of how great or poor the Internet connectivity is," he explains. Despite these country-specific issues, the founder says that over a six-month period, the user base is growing consistently, and the company has gone from a modest 12 outlets to over 100 outlets that are now clients of the site. Currently, Shadid lists geographical expansion and recruiting as two areas requiring management's extra care and attention, but adds that as a startup, challenges are dynamic not static. "The hardest part of our business keeps changing; every cycle of a startup comes with its own set of challenges." 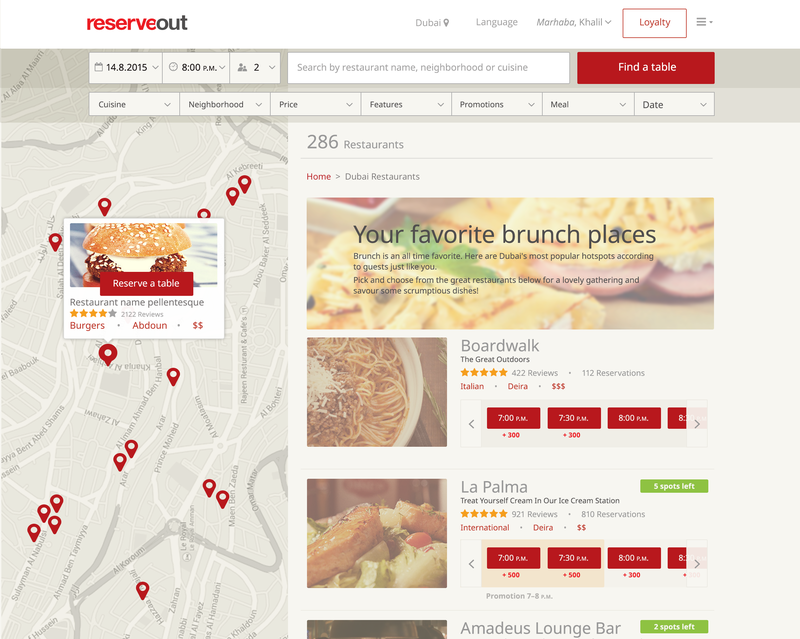 Reserveout is a fixture on the hospitality tech scene, and arguably is demonstrating some of the strongest growth in the space, but Shadid says that one can never be sure: "You don't really know when your enterprise takes off. It sometimes takes an event or an outsider to point it out. We've obviously been seeing lots of growth, but as an entrepreneur and a self-critic, it's never enough. 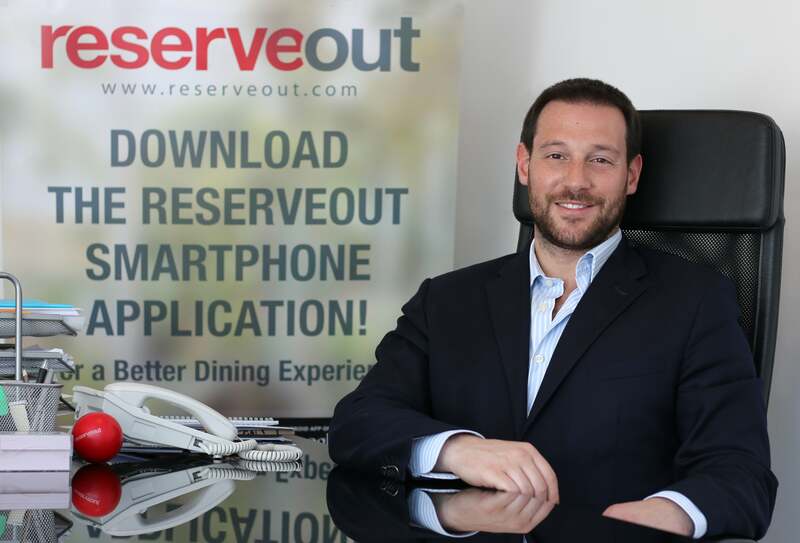 Probably the best feeling I had was when my mother, who is not much of a techie, told me a few months ago how proud she was when she heard her friends talking about Reserveout, and how great it was without knowing who founded it." THE IDEAL INVESTOR "We have already raised two rounds of funding, and we have great investors on board. The ideal investor at this stage is one that understands our business, understands the hardships and struggle Middle Eastern startups have to go through, and can advise strategically on these challenges and others that may come up. A startup goes through many lifecycles and each of those requires a different type of skillset and know-how on how to navigate what may be very rough waters for a company. We are past the initial startup mode and are currently looking to massively scale up, and we need the right investors that not only can provide the financing, but also have experience investing in companies at this stage and can help accelerate our growth efficiently." ROI "We project that we can break even in mid-2017, but honestly, that may change. Our strategy and aspirations are always evolving and where we decide to take Reserveout in the next 18 months may grow beyond where we initially had intended to be. Reserveout is already profitable in some markets, and what we are working on now is making sure each market breaks even within a reasonable amount of time to allow for further growth and expansion." GOING FORWARD "We're focused on growth and geographical expansion. 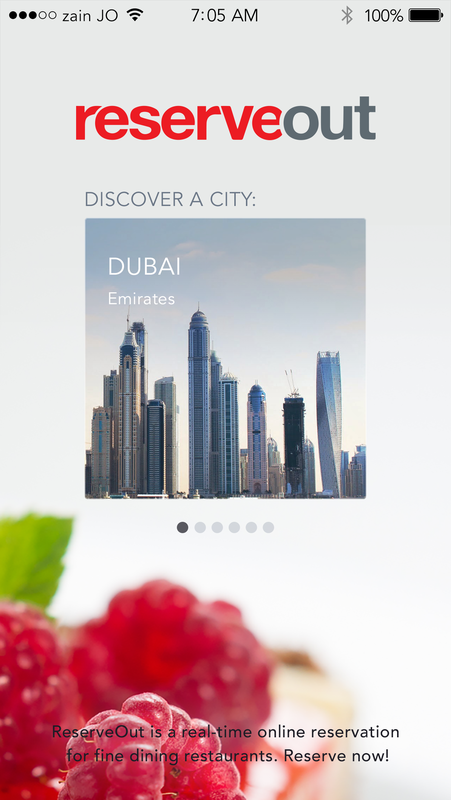 We want to be at the core of the restaurant operations and reservations across the Middle East and beyond. We are already looking ahead, and exploring new markets in Africa and Asia and assessing what makes sense for us. We are also looking at different verticals that require such technologies and are similar in nature." HUMAN CAPITAL "The UAE is our biggest market and hence a major focus. In addition, Dubai is a great place to be based out of, as traveling anywhere in the region or internationally is very easy and convenient. It also helps with recruiting, as these days everyone wants to move to Dubai. Our largest office is actually in Jordan though; it's where our software development, finance, call center and content teams are based. We currently have a team of 41 across the region and we're certainly not slowing down. Over the next 18 months, we will have teams across KSA, Egypt, Bahrain, Qatar, Kuwait, and possibly Turkey."